In the afternoon you will often find my daughter sitting at the kitchen table with a container of beads making herself a necklace or bracelet. It’s one of her favorite activities. 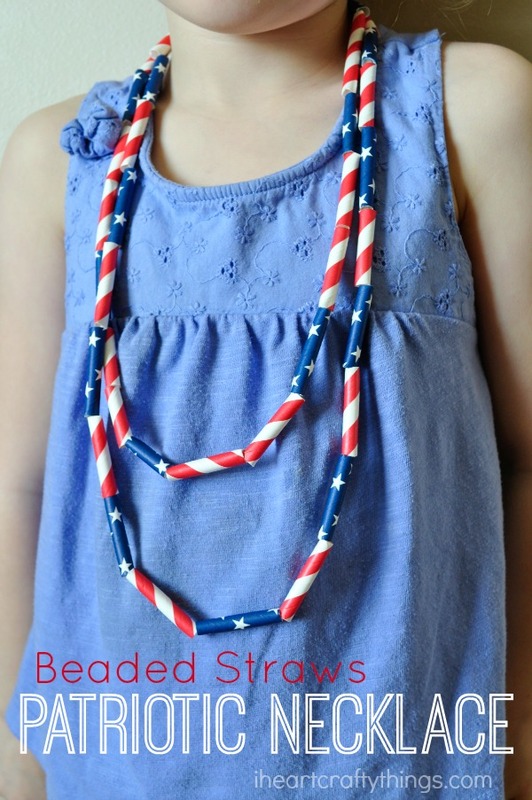 We recently got out our patriotic straws again and after some fantastic scissor practice cutting the straws into beads, my daughter had fun creating a DIY Patriotic Kids Necklace. 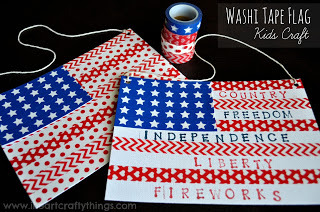 This is a perfect craft for the Fourth of July and kids will love wearing their necklace while attending festivities and while watching the fireworks. 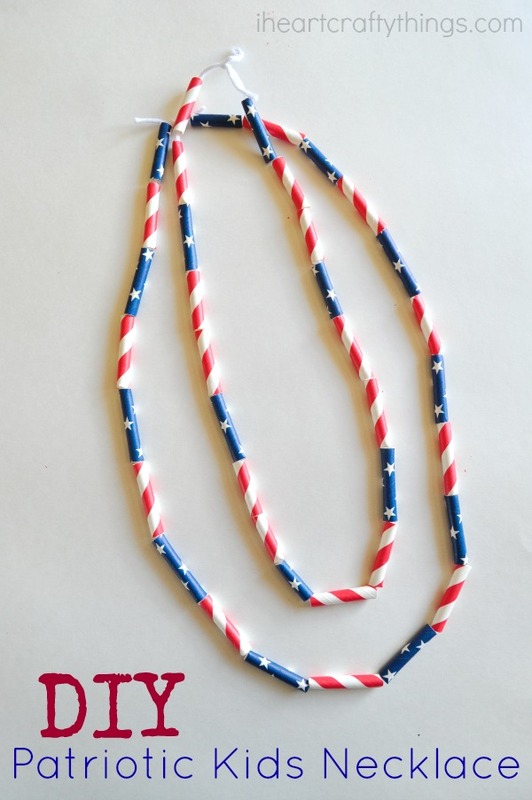 Make sure to check out another adorable Patriotic Necklace using straws over at Buggy and Buddy. 1. 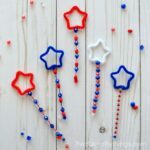 Start by having your child cut the patriotic straws into pieces. Don’t worry about the pieces being different sizes because it just adds character to the necklace. 2. 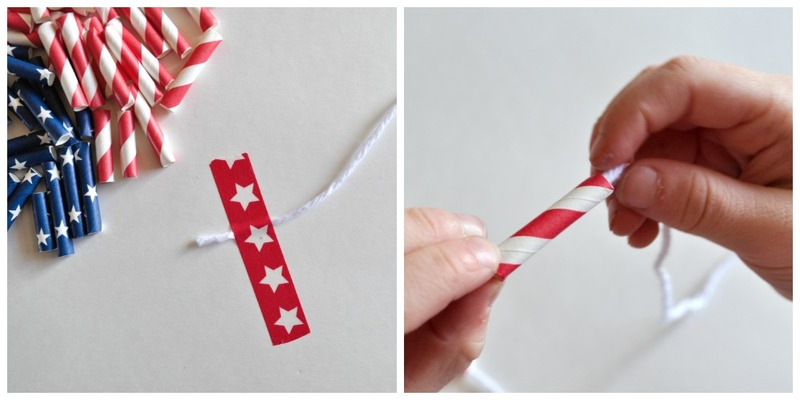 Tape down one end of your white string on your surface using washi tape or any tape you have. This makes it so the beads won’t fall off while beading. I also like to wrap some tape around the other end of the string so the yarn won’t fray while you bead. 3. 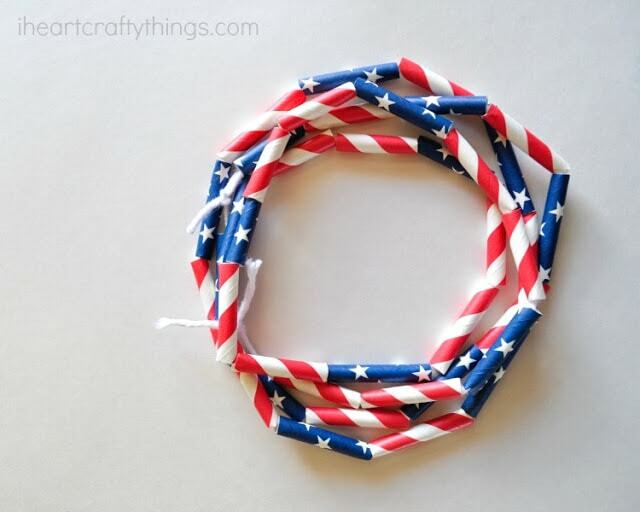 Bead the straw pieces onto the white string to make a necklace. We used it as an opportunity to work on patterns. I asked my daughter what kind of pattern she wanted to make and she strung two different patterns while making two necklaces. 4. Remove the tape from the ends of the string and tie a knot to finish your necklace. My daughter made a few different ones and I love how they look layered together. 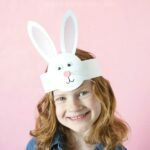 Sign up for our Weekly Newsletter to keep up with all of our latest crafts! 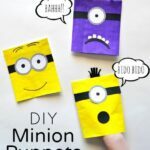 Follow I Heart Crafty Things on Pinterest, Facebook and Instagram for more crafty fun!